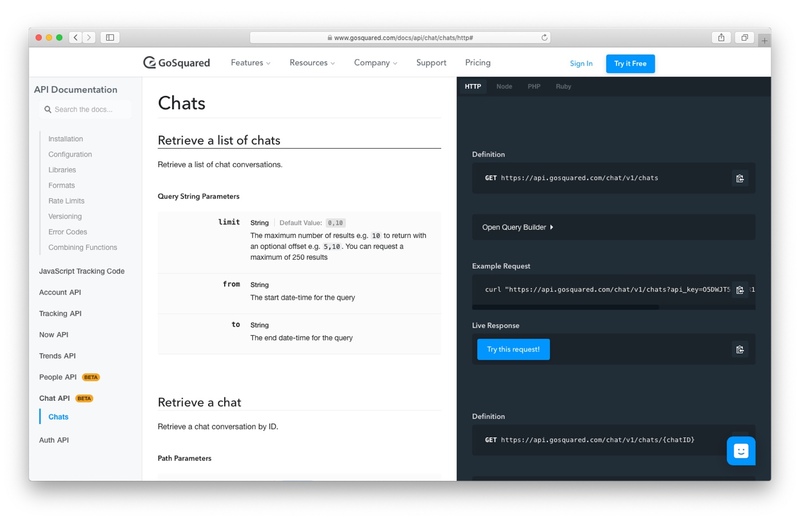 We’re really excited to announce the GoSquared Live Chat API is now available. GoSquared Live Chat is used by hundreds of businesses to connect with their website visitors, leads, and customers every day. The Live Chat API gives you the ability to use the power of GoSquared Live Chat for a huge range of needs beyond the scope of what we could ever build. Automatically send messages – automate messages from your team to your visitors and customers. Improve your workflows – automatically leave notes and archive conversations. Strengthen security and compliance – export and store customer communications at scale. With the new API, you can now automatically send messages from your team, leave notes on conversations in Inbox, and archive conversations – all in code. GoSquared Live Chat, combined with Assistant on our customers’ websites, has become an integral part of the marketing and sales process for hundreds of businesses. We want to give our customers even more flexibility to embed personal messaging in their existing workflows. For example, the Live Chat API now allows businesses to trigger personal messages instantly based on server-side events, such when customers make a purchase, upgrade their plan, or change a setting. This means you can reach out automatically with a personalised message at the perfect moment, giving you the highest chance of engagement. As ever more business-to-customer communication is moving online to messaging tools like GoSquared Assistant, we’re fully committed to making it easy for our customers to retrieve those conversations and connected information for reporting purposes. You may want to create your own automated messages from a team member if a certain event occurs that would benefit from a real-time message while a visitor is actively on your site, like a failed payment for example. You may want to simply leave a note on an account for one of your team to be aware of the next time the client starts a conversation. "content": "Client has just opened a support ticket"
You may not necessarily want to keep specific conversations open in Inbox if they don’t need addressing right away, so you can now archive conversations via the Live Chat API. We believe a continuous history of communication between a client and team member offers the best experience for both parties. These are what we refer to as “conversations” and you can now retrieve information about all your conversations for a project through our chat API. Conversations consist of a feed of messages and events (from both the agent and client). You can now also retrieve the history of a specific conversation. Our aim is to give businesses the ability to make Live Chat, with GoSquared Assistant, a seamless part of their sales and marketing workflow. We’re really excited to get more of the GoSquared platform in your ends to build on top of, and we welcome any feedback and requests around additional functionality. 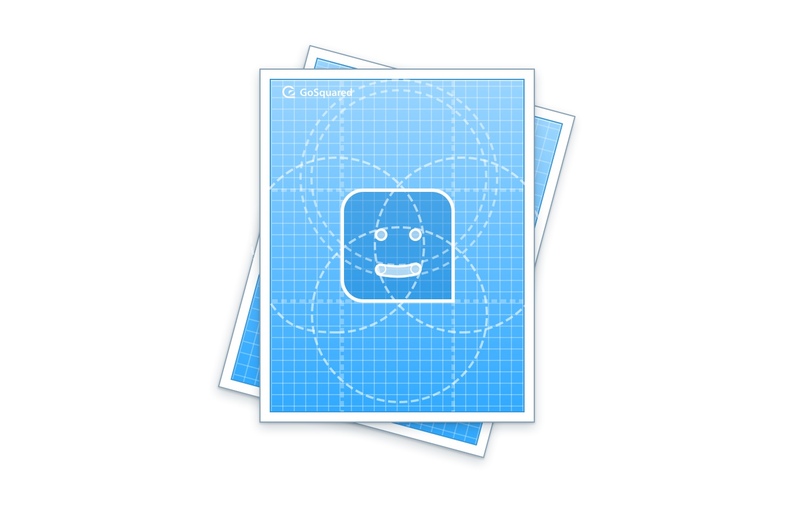 Reach out to us via GoSquared Assistant, hit us up on Twitter, or feel free to reach out via our contact form!